By Salman Saeed in Web Design. Updated on November 16, 2018 . 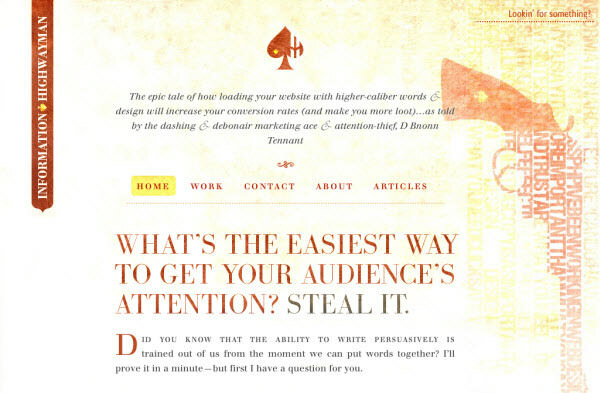 Typography, being the art of type in a design, is undoubtedly one of the most essential elements of good web design. It’s the visual art that helps us to create a beautiful and neat design that just works. However, the fact that it can be on the headline is that being one of the most important elements, it is still overlooked by many. Good typography makes a design more appealing, leading a reader across the whole web page according to the importance of different text, but it is not just about the style, size and family of the font. 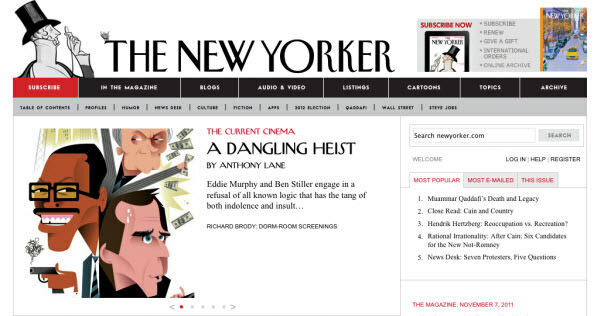 It’s about realizing the high level of visual hierarchy that can be reached with the use of typography. Since a screenshot worth thousand words, in this post we are willing to deliver you tips on improving typography in your web design and eventually 16 website screenshots with great typography applied, and the resources that will guide your typography skill to a higher level. Although most beautiful websites play with mixture of typography and graphics, there’s still room to create beautiful websites with pure typography. The reason behind this is the ‘simplicity‘ factor. It is very effective in design, but still creating a great design with great typography is not an easy task, and for most cases it is in fact more challenging, because you tend to make more from less. A good tip for designer to master typography in web design can be to learn the basic structure of typography for it can offer a great deal to the visual of a web design. The next thing will be to understand the relationship between all the design elements and typography. It will help you in choosing the right colours, images, types and its size, in order to create a good design. 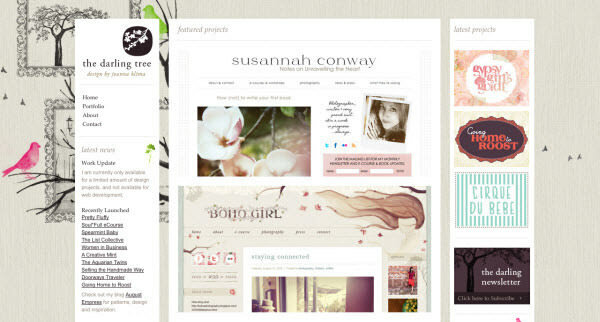 Try to experiment and realize the effect of all the types in a web design. Some websites use black background and large fonts in white colour to increase the readability, while some use strong or bright color to give emphasis to headline. Also every modern design has something minimal in it, for minimalist web design allows typography to stand out and draw the attention of the reader towards the content. 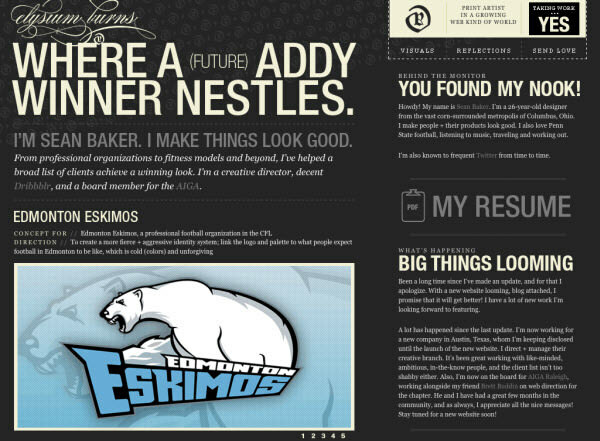 A web design is only more appealing when the designer makes a good use of the typography. 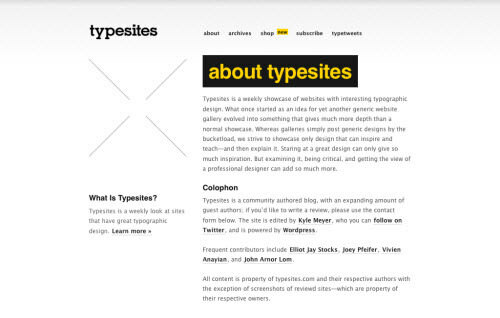 For typography study, I Love Typography and Type Sites are recommended. If you want to learn typography the fun way you can try out the Font Game. Looking for even more resources? Check out our insightful guide to better typography for modern websites and quick guide to typography then! Studying website with beautiful typography will enhance the creativity of a designer and let him improve his designs by using colors, types, and other objects in a more efficient way. 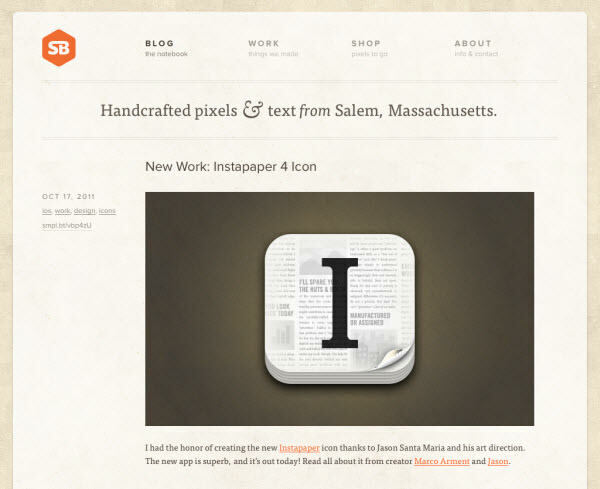 That said, let’s explore 16 websites designed with beautiful typography with unique visual characteristics. Designed with beautiful typography, this website offers icons with premium quality, and goodies like desktop folder icons, social media icons and Helveticons wallpapers. 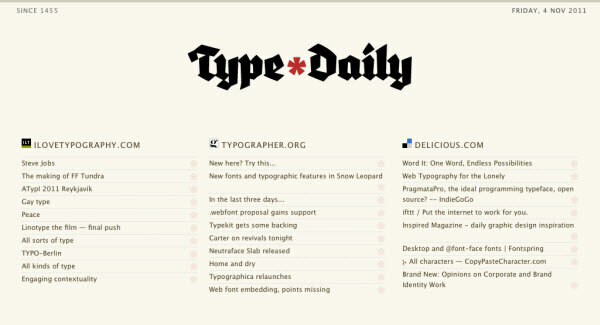 Type Daily is actually a collection of other typography related content on the web. The RSS feeds update the content with the latest ones as soon as they get online. 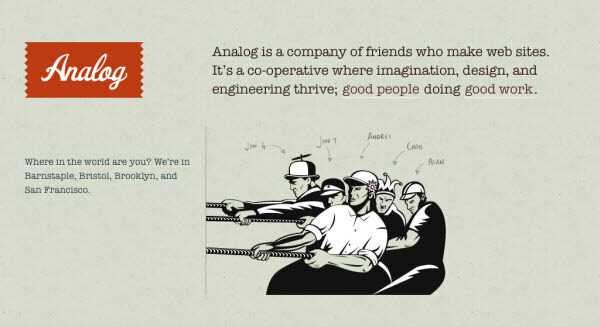 Analog can be one of those designs which designer understands the contrast factor and used the type which matches the theme of the site very well. 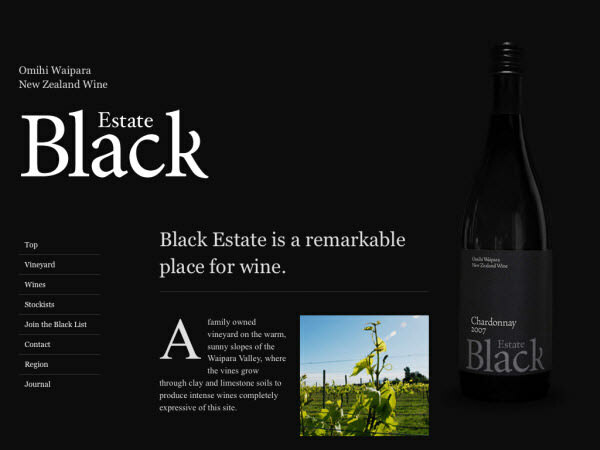 The big role that typography played in the site is it enhanced the taste of the colors and the types. This user friendly site used the type with such an organized way that it gives out a very neat and appealing look. The navigation in the upper menu has bold uppercase type applied which looks really well with the description type. Sometimes the background can be greatly enhanced by putting typography art into it, making the site looks even more artistic and appealing. Typography is the only tool to be played with when you have a minimalist design. The large titles of the articles draw the attention easily. You can see there are many elements in this design but they are arranged in such a way that the entire design looks so neat and clean. 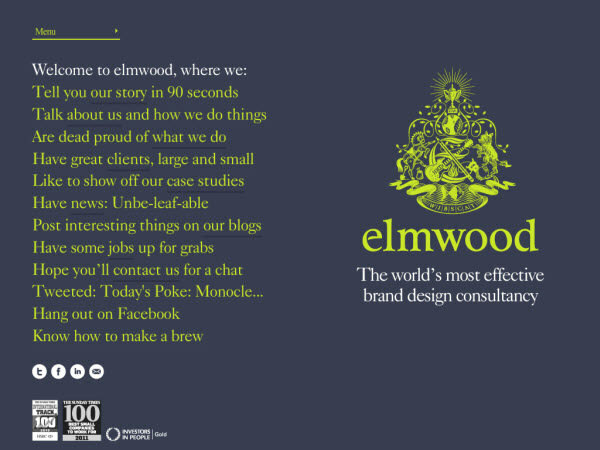 This magazine website maintains the goodwill of their brand with the help of such good uses of the types on their design. 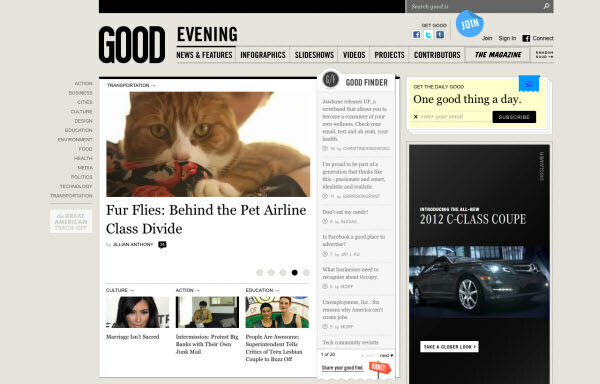 The uses of the types give the reader a sense that the magazine is long-established yet stylish. 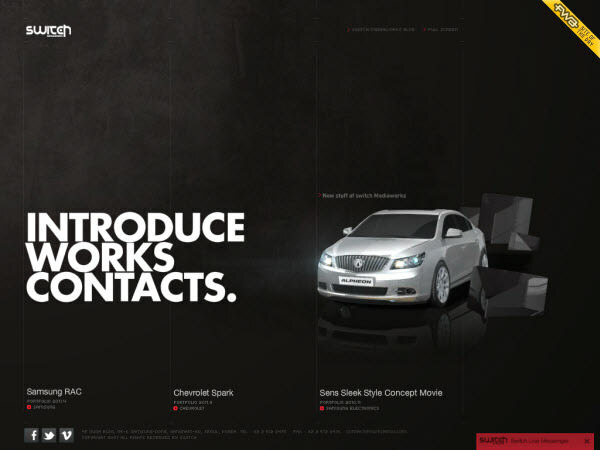 White color type with dark background is one of the best combinations in minimalist design. The design like the one showcased below also greatly increases the text readability. The typography is inspirational here on A List Apart for the way its design elements are centered and its approach to minimalist design. 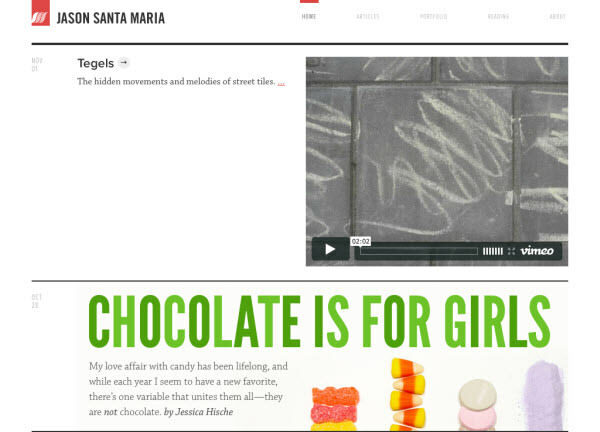 The brilliant use of spacing allows the reader to identify the colors and titles easily. Good uses of clean and excellently spaced types to form a beautiful and readable design. The Darling Tree’s brilliant use of various types contributes greatly to the design. Black background and bold typography work really well when they are used correctly. Incredible mix of typography & visual elements in a very minimal way, talking about getting more from less. 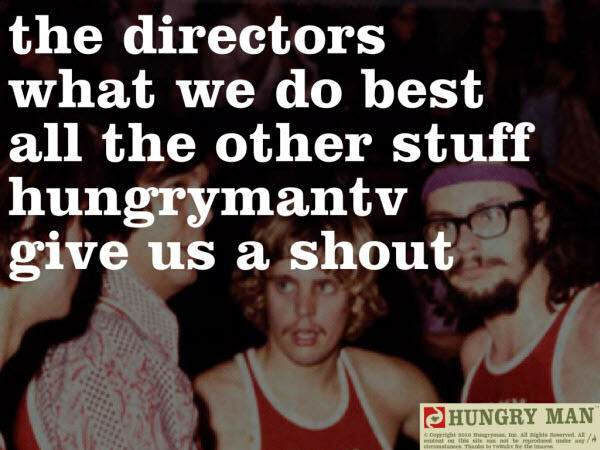 Hungry man seems to be hungry for job as well. A really distinctive design with a little bit retro-look. Effective use of typography for promotional purposes. After all, it’s all about impressing people, right? 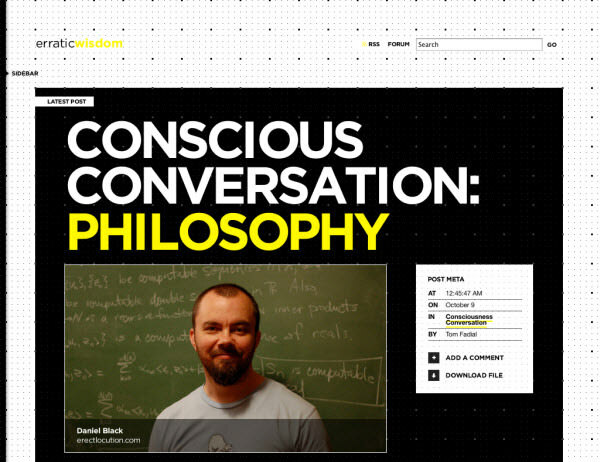 Looking to seek more inspiration and wisdom from typography? Here are resourceful posts that will spark your creativity, enjoy getting inspired!